Make Your Teak Furniture or Hardwood Deck Look Like New Again! Teak and Deck Professionals specializes in refinishing, restoring and maintaining all types of outdoor wood including teak furniture, outdoor tables, chairs, hardwood decks, exotic woods and more. We also clean, color and seal outdoor hard surfaces including stone and concrete patios or walkways. Whether you are looking to make a weathered set of wood tables, chairs, benches or lounges look new again or just looking to restore a fence or seal a new deck that you just had installed, Teak And Deck were created for you. If it is wood or stone and outdoors we can bring back its natural beauty. 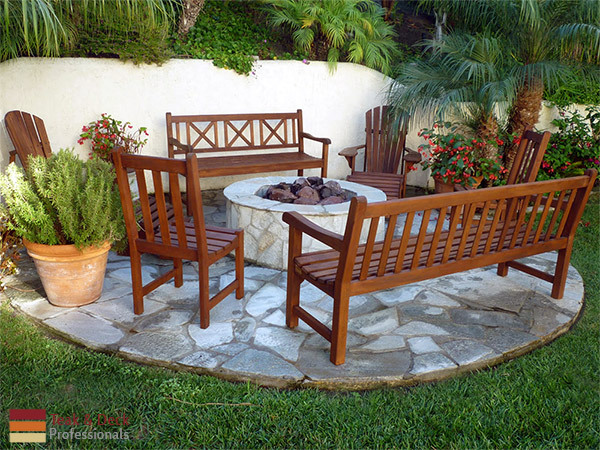 With more than 1,500 satisfied residential and commercial customers, Teak and Deck Professionals is Southern California’s trusted leader in outdoor wood restoration and maintenance. Have you ever had multiple services give you an estimate online, set up an appointment and then change the price when they meet you in person? This is a hard-sell tactic and a waste of your time. Teak and Deck Professionals has completed thousands of projects so we know exactly what work goes into each type of job. This experience allows us to price your restoration project over the phone in only a few minutes. Unlike others, with a few questions regarding your needs we will give you a price quote that WILL NOT change when we come to complete your job. This way you can get the final price, upfront and without the need to set up appointments or deal with sales tactics at your door. Awesome workmanship and attention to detail. Honestly I didn't expect my teak patio set to really look like new again. These guys delivered. Thank you! It is with extreme irony that this company has the term "Professionals" in their title. Our experience suggests otherwise. The GM came out to provide an estimate on our deck and recommended using a solvent to remove the old stain. We agreed to his suggestion and waited a month for them to be available to do the work. The day the worker arrived, he spent about 1.5 hours apparently applying the solvent, which he reported was not working. He then left and we got an email from the office saying that some other arrangements would have to be made since their solvent approach was not going to get the job done. Since then....crickets. That was two weeks ago. My wife and I have called and spoken with Jade several times, who has been courteous, and who seems to be working for a GM who cares little about his customers. Apparently, he can't be bothered to pick up the phone to explain why their process didn't work and (by this point) apologize for blowing us off so completely. So here we are entering summer, the time in which we'd hoped to enjoy our deck, and we have to wait until someone who actually is professional and can actually do what they promise to get the job done because Drew and the Teak and Deck "Professionals" cannot. Fortunately, we did not leave a deposit. I obviously do not recommend hiring these people to do any work for you. I wouldn't look any further for your teak needs! The team here is incredible! Jade that works in the office is extremely efficient and a great communicator and makes all the details happen. It is so refreshing working with individuals like this! I had two benches refinished and they got me scheduled with ease and were so prompt in arrival and dropping off the piece as well. They finished one on site and were extremely clean with the area and safe with our other furniture and plants. The tech Kindle they sent was very polite, and did a wonderful job. We really appreciated him! Your investment is safe with them.